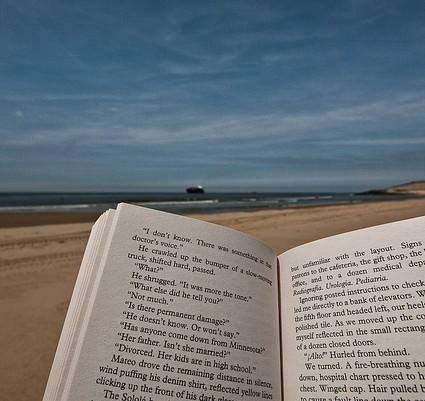 How many books did you read this summer? Maybe you read "Beautiful Ruins," crisscrossing through time and Italy, or that book about the doctor on Nantucket, "Island Practice." But no matter what's on your nightstand, according to Danny Heitman, you probably didn't get through nearly as many books as you planned. Heitman, a columnist for the Baton Rouge Advocate, says there are too many interruptions, and we need to create a zone free from texting and phone calls, something like a writer's colony, but instead for readers. Danny Heitman, columnist for the Baton Rouge Advocate, author of "A Summer of Birds: John James Audobon at Oakley House"
This segment aired on September 3, 2012.